Let’s Play video creators have recently been receiving an influx of copyright law notices. This week, after being silent for too long on the issue, YouTube has finally contacted the many creators of Let’s Play videos. Unfortunately, YouTube is not helping things much. Let’s Play videos, in case you haven’t seen our many Let’s Play entries, are essentially gamers playing a game and talking over it, either about the game itself or often about another topic entirely, with popular players like TotalBiscuit often using the time to address some of the more prominent and complex issues in the gaming community at length. 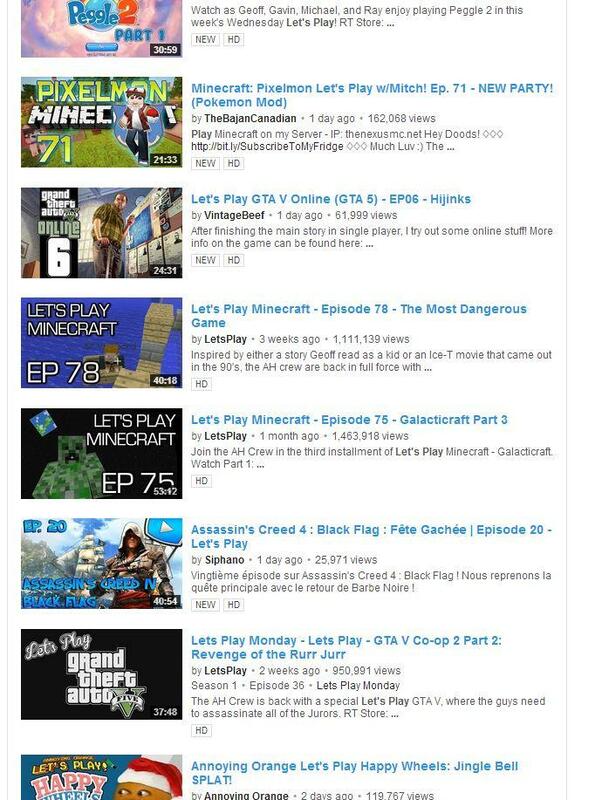 Starting last week, many creators of Let’s Play videos began receiving copyright law notices automatically generated by YouTube’s automatic Content ID system. The claims that result in these notices redirect the revenue that go to these presenters (with sometimes millions of subscribers) to the entity claiming the copyright. Many publishers, especially with the new consoles’ built-in sharing abilities, have come out in support of Let’s Play videos in recent months and especially in the last week. Even larger publishers like Ubisoft see the free marketing that comes from these videos as beneficial and the negative press that would come from taking the videos down as harmful. Unfortunately, most of these claims are not from the actual video game publishers. The connection between the copyright holder and the game is in many cases not immediately apparent. Instead of the publishers filing the claim for their game, it’s a third party music company making it. This is a result of YouTube updating its policies and expanding the channels it scans for copyright infringement. According to Polygon, the email creators received from YouTube states that “some channels, including many gaming channels, saw claims appear against their videos from audio or video copyright holders.” The policies seem to have been updated to cover music-related copyrights more broadly so that holders of music copyrights can obtain revenue when people cover their songs, as noted by Polygon. In other words, “We’re not really doing anything about it because copyright law.” It’s frustrating for users to see their livelihood stripped away by someone with a tenuous connection to the product they’re really promoting for free. Even if it’s a negative post, it’s still chatter about the product. I think the biggest impact is how far reaching this action could possibly be. Even if publishers encourage Let’s Play videos, there’s no guarantee that someone else isn’t going to file a claim. This obviously affects people currently streaming, but another fold to the issue is that both of the new consoles include DVR functionality as part of their core feature set, and both have announced YouTube integration coming down the line alongside deals with Twitch. I can’t imagine Sony and Microsoft would be terribly happy about the functions both companies have spent a bunch of money building in are crippled to a notable degree. This certainly won’t be the last shot fired in this battle between copyright holders and Let’s Play creators. I’m not sure that creators on their own could change copyright law, but enough concerned parties with money on the table can certainly make a difference one way or the other. Copyright law seems to be on the side of the copyright holders, but there’s wiggle room for fair use of the content, too.